The latest women’s fashion trends for sizes 14 and up- every woman can go out in style. A myriad of flattering style options for all ladies- stop at nothing to show your most fashionable self. Comfortable styles at comfortable prices- addition Elle is the boutique you’ve been waiting for. Addition Elle Canada Sale: Buy 1, Get 2 FREE On Sale Items! Addition Elle Canada has a great offer available now! 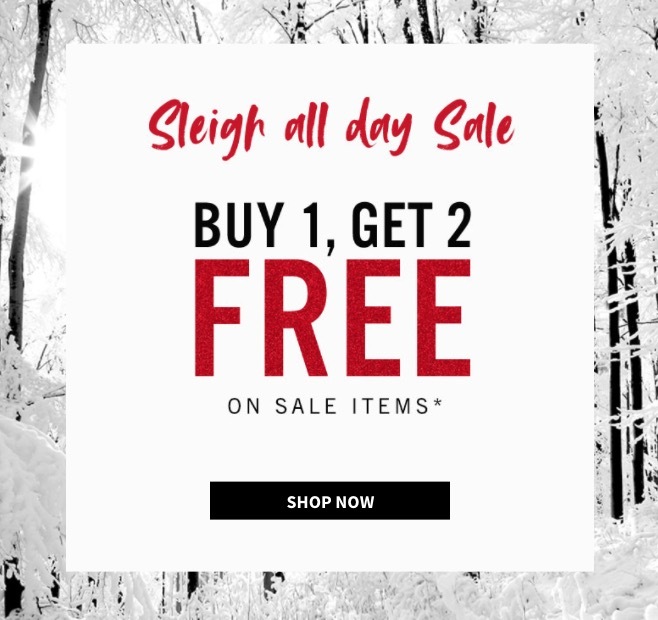 The Addition Elle Canada offer includes: Buy 1, get 2 FREE on sale items! No coupon code is needed to get this offer. Addition Elle has FREE shipping on all online orders of $120 or more. 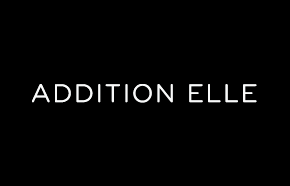 Click here to get Addition Elle Canada offers. Boxing day sale starts right now at Addition Elle Canada. You can save 50% off on all regular-priced styles, including sweaters, outerwear, footwear, accessories, and more. This offer ends on December 27th, 2017. You can also enjoy an extra 60% off on sale items, from lingerie to dresses & skirts to jeans to name a few. This offer is valid for a limited time only. Walk in your parties with style and elegance and strike a pose in this Sangria Chiffon Capelet Shift Dress, on sale for only $56.00. You’re saving $94.00 from the original price of $150.00! Walk in your parties with style and elegance and strike a pose in this plus size shift dress by Sangria. This dress features a sheer capelet overlay which creates fluttery drama. Addition Elle Canada offers FREE shipping when you spend $120 or more. Click here to start shopping at Addition Elle Canada. 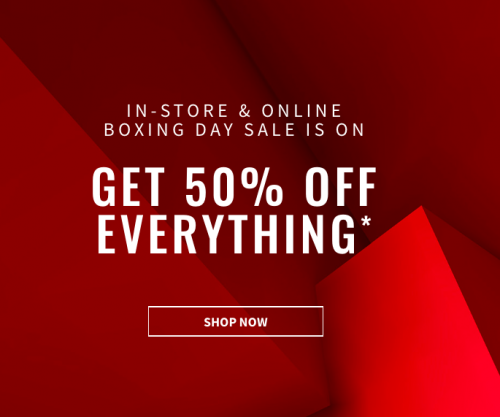 Addition Elle Canada Boxing Day Sale Starts Today: Save 50% Off Sitewide! Addition Elle Canada has started their Boxing Day sale today: Save 50% Off Sitewide! This sale ends on December 27 2016. Addition Elle has FREE shipping on all online orders over $120. Click here to shop at Addition Elle Canada.